It was April 14, 1912, day 4 of Margaret Fuller’s virgin voyage on board the Titanic. Things could not be better. Her bid to open the only gift shop on the new mega-ship had been accepted three months earlier. She had operated other shops on several ocean liners during the past decade. As a result, she had achieved some degree of success and affluence from those years of hard work, sacrifice and optimism. But none of those other shops had begun with such a burst of passenger excitement, which directly translated to record setting sales. In the first three days of the voyage, her shop’s revenue had already surpassed the sales of the last two transatlantic voyages combined. Margaret could not be more pleased. As she rose early to head up for a quick breakfast before opening her shop, Margaret walked by one of the twenty lifeboats that were stowed securely on the boat’s deck. For a brief moment her mind flashed back to some reports she had read prior to their departure. Some had expressed concern that there were more passengers on board than the lifeboats could carry. 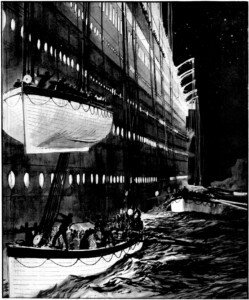 But Margaret quickly pushed the thought from her mind, fully confident that a ship the size of the Titanic, with all its safety systems, was completely secure. It was certainly too big to falter along the 3000 mile journey. Sales were strong again on that fourth day of the voyage. The passengers seemed eager to spend. Their excitement and mood could not be more upbeat. There were other small business owners and entrepreneurs on board who all seemed to be experiencing the same results that Margaret was realizing. Margaret readied herself for bed, said a quick prayer, and was soon in a deep sleep. As Margaret slept, she began dreaming that she was hearing sirens going off. The more she tried to ignore the sirens, the louder they seemed to get. Soon the sirens were accompanied by a jolting and lurching and she then realized: This isn’t a dream! The sirens were really going off. The articles on her dresser had just been thrown across the room onto the floor. She heard glass breaking in her bathroom as the mirror fell off the wall. Down the hall, outside her door, she could hear people screaming. Margaret was now wide awake. This was no dream. Rather, it was a real nightmare. As she grabbed her housecoat, and dashed out her cabin door, Margaret’s mind flashed back to the lifeboat she had walked by the day before. She tried to control a panicked and sinking feeling as she considered the fact that if the lifeboats were needed, she might not make it onto one of them. As she shot up the stairs to the main deck, her panic suddenly turned to terror. Crew members were yelling to everyone to head for the lifeboats, screaming to them that the ship had struck an object of some sort. There was little time before the unthinkable would happen, they were warning. It was clear the unsinkable ship was going down, and only those who were fortunate enough to scramble onto one of the lifeboats would survive. 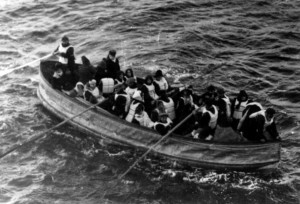 As she ran towards one of the lifeboats, the ship suddenly lurched violently, and Margaret was thrown several yards into the air before she slammed back down onto the deck. She was dazed and shaken. Her entire body ached. But she had enough presence of mind to realize she had to make it to a lifeboat. Margaret half crawled and half ran to the nearest lifeboat and began to fight her way through the others who were all trying to board it. She was ashamed of her actions as she clawed her way past other screaming and terrorized passengers. But Margaret knew that if she were courteous, she would not make it. As the lifeboat began to swing over the side and above the freezing dark waters below, Margaret lunged for it, barely grasping the edge of the small boat, as a strong arm dragged her aboard. And then, everything grew pitch black as they descended into the ocean below. Margaret could hear screams from above. It was sheer terror and no doubt they were the last sounds that many who were still on board would make. She was told that the lifeboat they were on was the last one. There were no more. Those left behind were no doubt destined for a horrendous fate. Briefly, Margaret thought about her gift shop, her livelihood, her fortune and her dreams. They were all going down with the ship. Just hours earlier she couldn’t have been more upbeat, more optimistic, more confident of the profitable future that was in store for her. Now, it all seemed so meaningless, so short-sighted, and so mundane. She hauntingly remembered the warnings some had made prior to the Titanic’s departure about the inadequate number of lifeboats. She thought about the hundreds of poor souls who were even then sinking to the depths of the Atlantic. And then she realized the truth. 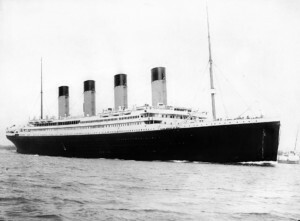 The Titanic was not too big to falter. It was not too big too fail. And yet, it took a catastrophic loss of life for that reality to set in. It was 130 years earlier, during the Revolutionary War, that George Washington commented, in strong disapproval, about how many of our early countrymen put private gain before “the essential rights and liberties of the present generation, and of millions yet unborn.” Our first President was concerned that a short-sighted focus by citizens could lead to a long-term loss of our most sacred values: Life, Liberty and more. Like Margaret on board the Titanic, in my fictional story, today’s entrepreneurs, corporate executives and managers are busy about the business of making money, turning a profit and increasing their own personal fortunes. Obviously, in and of itself, this is not a bad thing. But as our first President noted, we can often pursue our own private gain at the expense of our “essential rights and liberties.” Sadly, because of this tendency by too many today, our nation is bearing down on its own iceberg. In our hearts we all know this. The sirens are going off. The warnings are everywhere. And there are innumerable more warning signs. And yet, it appears that so many of us are so disengaged. We ignore the obvious. 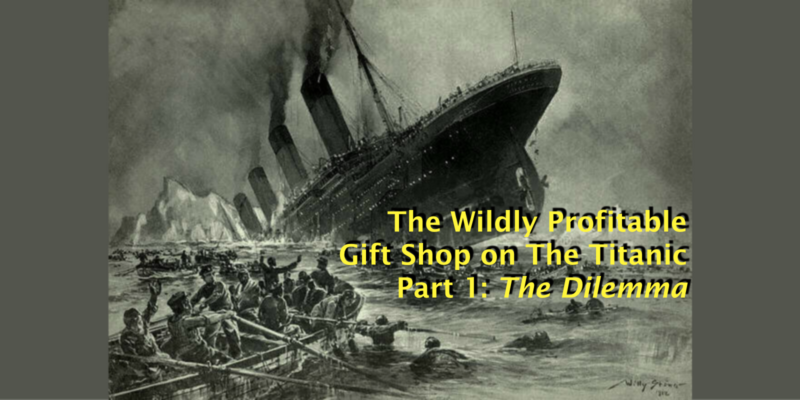 We are more focused on seeking the profit of our “gift shops” than heeding the perilous warnings. But unless we wake up before it’s too late, there will be a catastrophic event that will make that last sale, that last promotion, that last quarter’s results, seem so mundane, so futile, so meaningless. Have we reached the point of no return? I do not know. I pray that we can avert the iceberg that appears to be directly in our path. But you and I will determine whether or not we do. Will we prioritize our private gain? Or will we, like our founding fathers, prioritize the “essential rights and liberties of the present generation and of the millions yet unborn?” Our actions today and tomorrow will reveal our priorities, and the destiny of America. Last year I wrote about the importance of marriage in “An Entrepreneur’s #1 Partnership,” emphasizing the need to prioritize your marital relationship above your business. But it’s easy to write about doing so, and quite another thing to actually live it out on a daily basis. Entrepreneurs and employees are often tempted to focus more of their attention and energies on their business or job than the relationship with their spouse. As an entrepreneur, I can affirm the struggle this dilemma often presents. And if you’ve spent any amount of time in business, you know exactly why this is. Our businesses present a constant set of opportunities, challenges, and other “urgent” matters, that demand our immediate attention. If you’re like me, it’s all too easy to allow these demands to overshadow everything else in life. 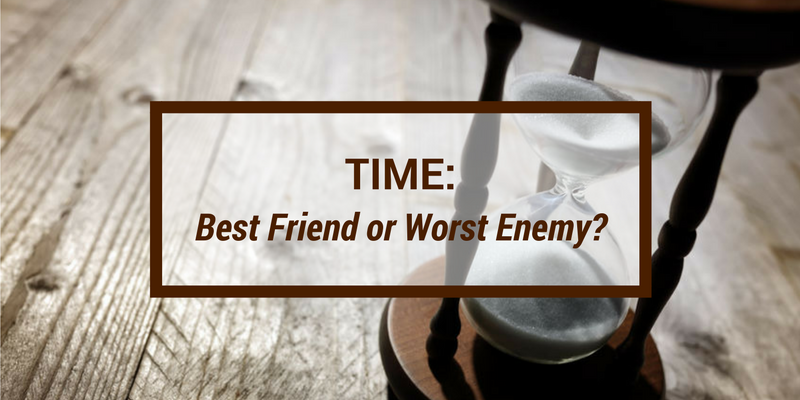 Whether it’s our relationship with our spouse, our kids, our personal health, or perhaps even our spiritual walk with God, it seems that all too often, the urgency of the immediate drowns out the preeminence of the important. Granted, there are instances when a scenario is truly urgent in nature, requiring our immediate focus or else catastrophic consequences could ensue. These rare instances are not what I am referring to. Rather, the “urgent” issues I am referring to are the unlimited number of lesser demands that present themselves on an all too frequent basis. If we’re honest with ourselves, we can see this reality clearly, both in our own lives and sadly in the lives of others. But in the heat of the battle, it’s easy to ignore that internal nagging voice that continues to remind us that the urgent is once again supplanting the important. And when it does, it can result in our cancelling that special dinner with our spouse, or missing our child’s ball game, because a last minute “deal” demands we do so. 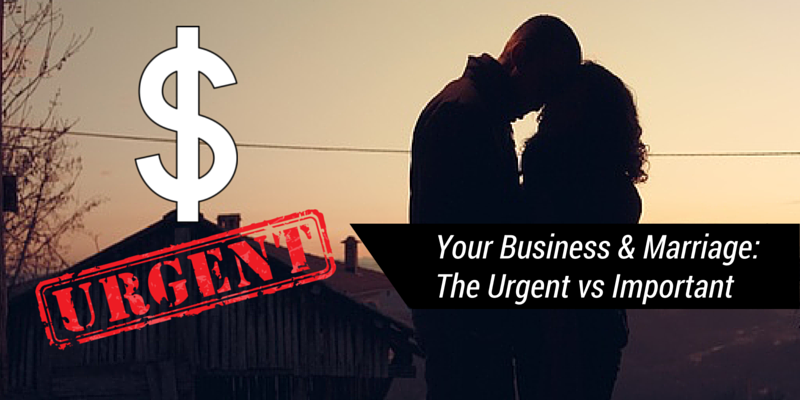 The urgent will always be clamoring for immediate attention. The unexpected and unplanned seem to show up on a regular basis, and too often at the most inopportune times. And when the urgent rears it’s head, it seems all else pales in significance. You can likely identify this reality playing itself out over and over in your own life, if you think about it. So it’s critical that we begin to identify when the urgent has arrived and that we be prepared to counter this temptation with a predetermined course of action. Whether it’s one that you’ve devised on your own, with your accountability partner, or perhaps one such as the Eisenhower Decision Principle (named after President Dwight Eisenhower), have a plan ready to deploy when the urgent shows up and seeks to derail the important. As hard as we try, there will be times when we succumb to the urgent despite our best intentions. One truth that we know about ourselves is that we often fail to live up to our own standards and expectations. It may not be that we intended to, but old habits die hard and we frequently revert back to our old self. But this is just another instance when we must simply acknowledge our frailty, both to ourselves and our spouse and/or family, and then recommit ourselves to steps 1 and 2 above. Meet with your accountability partner, evaluate your actions, and then learn from your mistakes. I trust that you and I will continually remember these truths and we’ll take whatever steps we need to take in order to insure that we don’t wake up someday and realize that, while we were successful at accomplishing the urgent, we failed in the truly important areas of our life. including that most important relationship, our marriage. As I paused to ponder that statement, it became apparent that this is not only the challenge of our day, but it also represents the solution to any problems you and I are facing, whether in business, in our personal lives or in government. Mountains come in all shapes and sizes. Some are relatively low in elevation and simple to climb. It takes very little effort or special training or knowledge to scale Lookout Mountain, which overlooks my home town of Chattanooga. But travel out West to Colorado and attempt to climb some of the peaks in the Rocky Mountains, and the story is much different. 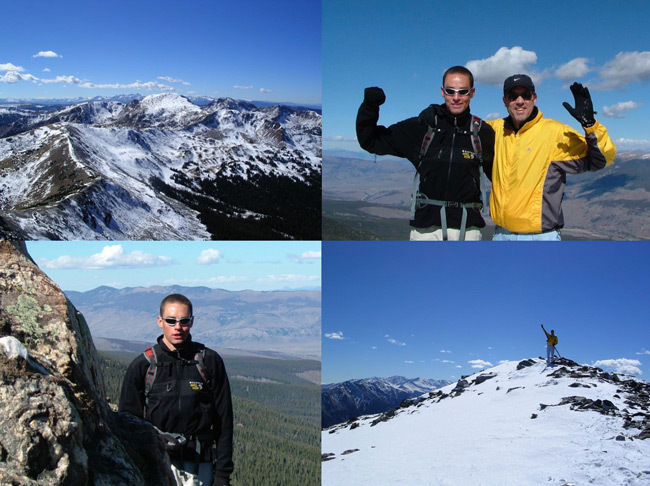 A few years back my son and I hiked up Buffalo Mountain to an elevation of 12,777, a picturesque peak that overlooked our home below in Silverthorne, CO. The hike, while certainly not the most difficult Colorado has to offer, was nonetheless more strenuous than climbing Lookout Mountain back in Tennessee and required a higher degree of fitness. While I consider myself to be somewhat fit, there are other mountains I would love to climb, but they are mere dreams at this point. Consider our world’s highest peak, Mount Everest, at an elevation of 29,029 feet — nearly 2.5 times the height of Buffalo Mountain. I have done some research about climbing our world’s highest peak and discovered that those who attempt to scale Everest prepare for several years prior to undertaking such a feat. One of the strategies deployed in preparing for the climb is not only to gain the counsel of experts but to also undertake a graduated program of scaling smaller mountains in the years leading up to Everest. This process of scaling smaller but increasingly larger mountains provides invaluable training, teaches critical skills, and offers the physical and mental strengthening that is required to ultimately scale the highest mountain in the world. Just as mountains come in all sizes, so do problems and challenges. Whether in your marriage, business or our government, in order to tackle the mountains you are facing, it will require that the man is able to match the mountain. While it’s likely most reading my thoughts here, have never scaled Mount Everest, I’m certain that many of us have faced our own Mount Everest in our personal, business or even spiritual lives. For many, their marital relationship may be their personal Everest. It may seem too difficult to scale or conquer. The very idea of beginning to solve the challenges one’s marriage poses seems as hopeless or overwhelming as confronting the real Mount Everest. Or perhaps for you it’s the overwhelming challenges you are facing in your business, struggles that seem to hold no answer. No matter how hard you have tried, it seems that there is no way to scale and overcome the daunting task in front of you. Given my passion for our nation, my mind also drifts to the challenges we are facing in America — difficulties that have been festering for decades and even growing to a point that scaling Mount Everest would seem to be a leisurely afternoon climb. 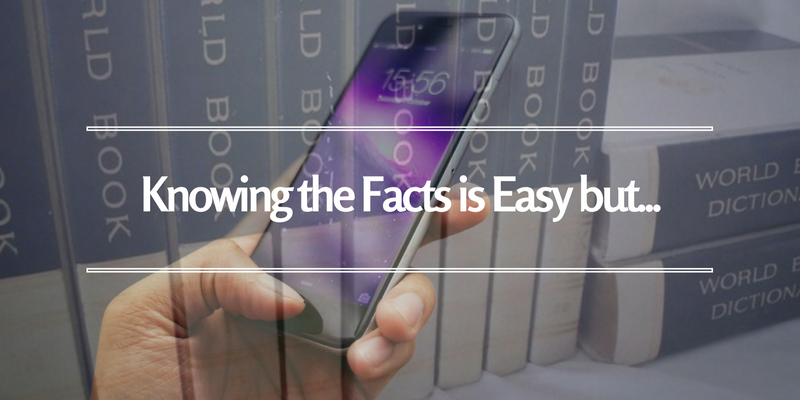 There’s a reason though that the struggles you and I are facing in our lives, whether interpersonal, business, spiritual or even our government, remain unsolved. I think Reagan had it right when he said we must find men to match our mountains. If there’s a mountain in your life, business or our nation that seems unscalable, I would assert that the problem is not the mountain but rather the man. Find the right man, and you will scale the mountain. Or in your case and mine, develop the man within, and those seemingly insurmountable Everests in our lives will undoubtedly be conquered. Just as preparing to scale Everest involves an ongoing and rigorous strategy, likewise, if you want to overcome the mountains in your life, you must also develop a plan. Find an “expert” to help you. Seek out someone who has what you want, whether it’s a successful marriage, business or spiritual life. If they’ve done it, they can help you to overcome the mountain in front of you. Call him a counselor, coach or mentor, but there’s no mistaking that the most successful people you know will credit others for their success. Next, you must strengthen yourself mentally and spiritually. Someone who has never trained to climb a high mountain will find themselves woefully unprepared. Likewise, to tackle your struggles, begin to build yourself up. Read, read, and read some more. Find books that can help you strengthen yourself mentally. And be sure to get into God’s Word daily. There is no better discipline to strengthen oneself for whatever struggle you and I face than a daily regimen with God. Finally, because we are broken people and we live in a broken world, setbacks are certain and will occur even as we progress in becoming the man to match the mountain. But as you and I remain committed to our growth plan and persevere regardless of the circumstances, we can be certain that the mountain you and I are facing today will be scaled tomorrow. 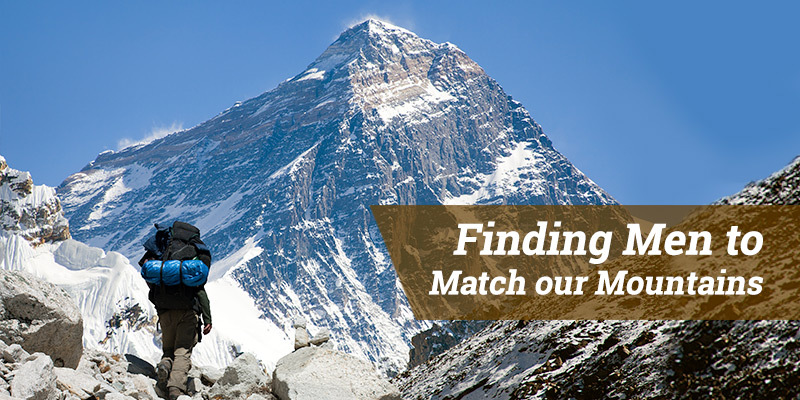 So, will you become the man to match the mountains in your life? Your marriage, your business and your nation are in dire need of such a man. My prayer is that you and I will become such men. It’s that time of year again, when we all scurry around doing our last minute shopping for that person who seems to have everything already. And as so many of us rush around to make sure that our final purchases can be delivered in time for Christmas by UPS or USPS, it’s easy to forget just what Christmas is all about. It’s become politically correct these days to greet others with the words “Happy Holidays.” But these two words don’t begin to touch the reason for the season. One hopes to have a happy holiday on every one of the holidays that we enjoy throughout the entire year, regardless of which one it is. Christmas, though, is different. Sure there are snowmen, ornaments, and Santa Claus. But let’s not forget that the very first Christmas was about God entering this world in the form of a babe, in the most vulnerable manner He could come. The angels announced The Gift to all mankind to the lowly shepherds on that first Christmas night. 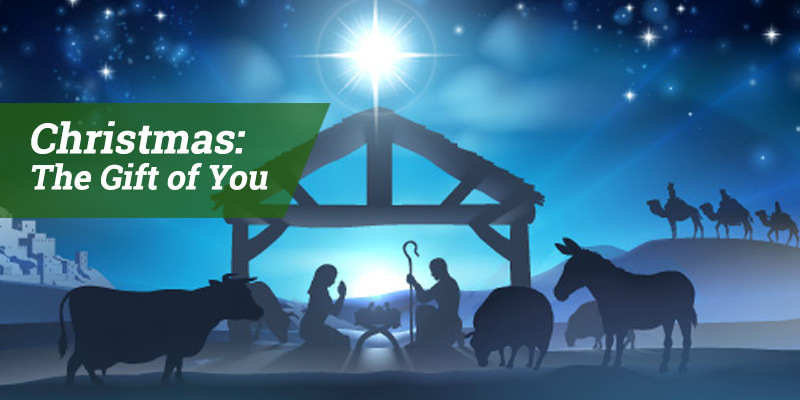 Jesus, as God incarnate, was the ultimate Gift of God to us. God gave Himself in the form of His Son to us and His act should serve as an example to us, in both our personal and professional lives. If you’re an entrepreneur you know all too well the demands upon you. There’s not a day that passes, including holidays, when you are not thinking of your business and are not pulled in that direction. While you can shut down your computer, lock the door of your office and be physically present with your family and friends, it can be very difficult to unplug from your business mentally and emotionally. I know this all too well from personal experience. But this Christmas let’s commit to making it different. As business owners, or simply husbands or wives, or fathers or mothers, let’s truly give of ourselves to those we love the most. Let’s resist the urge to check our email, work on that report, or simply worry about next week’s payroll. Those closest to you desire the gift of you. They desire your undivided attention, not merely your presence, or presents. As we celebrate The Gift that God offered to us 2,000 years ago, let’s follow His example and give others the gift of us: our time, our attention and ultimately our love. I trust you will have a blessed Christmas, and I pray that the Joy the angels promised will be yours this season. Merry Christmas!